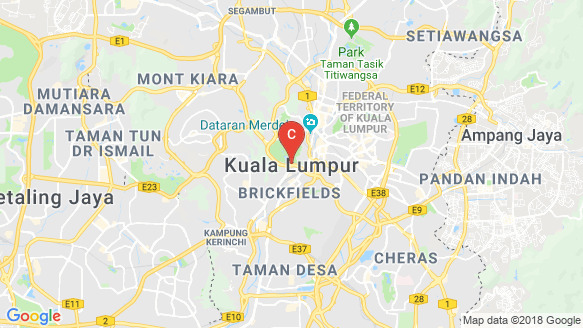 For environmentally conscious companies, this brand-new business centre is located in one the most environmentally friendly building in the city, and offers office space in KL Sentral suitable for all types of businesses. The most prestigious building in the area, this business centre is easily accessed from all major transport hubs, and is close to several shops, hotels and restaurants. Businesses can enjoy more informal lunches with clients or even relaxed breaks between meetings at some of these high-end venues. The building boasts MSC status and has LEED certification, and is also home to Shell, one of the world’s most famous brands. Attractive office spaces range in size from smaller individual work space to larger team office suites, and are fully equipped for business with high-speed internet access and dedicated phone lines. Each office is ready to use and fully furnished on request, whilst, business support services are available to help companies to get started. Conference space accommodates larger groups for anything from client meetings to workshops and training, with state-of-the-art conferencing and presentation equipment available on request. Secretarial services deal with call handling, mail forwarding and administration in the name of the business so that companies can focus on their larger goals. This building is within easy reach of a range of public transport options, including Light Rail Transit and the Monorail. There are also major road routes close by, heading through the city and out to surrounding areas. From RM1000 per workstation per month. This external office includes furniture, utilities, maintenance, daily cleaning, Wi-Fi and beverages from the pantry (gourmet coffee, tea and water). Office sizes start from 80sq. ft. and ready for occupation.